DEVELOPMENT OR SECURITY: WHICH COMES FIRST? Is a stable and secure environment a precondition for successful development cooperation, or is secure environment shaped through development cooperation? Is it possible to create mutual understanding, coordinated response and shared agendas between the two so-called parallel worlds – the practitioners of humanitarian and development cooperation, and those directly contributing to security and stability? We are in a situation where states and international organisations have limited financial resources and cannot afford overlapping, uncoordinated or competing efforts. But is it right to use Official Development Assistance (ODA) for security interventions? This conference will investigate the challenges as well as collaboration opportunities between military interventions and development cooperation. The answers sought in these panels are of utmost importance from the perspective of the people who are suffering in crisis situations and are expecting practical assistance, not theoretical and legal deadlocks. The working language of the conference is English. Please register your participation here. What are the positive and negative experiences from past civil-military coordination in different contexts? Are the humanitarian and development projects and interventions contributing to security competing or complementary? What are the potential channels and platforms that could encourage and facilitate further collaboration between the different stakeholders in humanitarian aid, development and security? What are the implications of widening the ODA definition to include also security related activities? The conference is part of the European project ‘Media for Development’ that is implemented by NGO Mondo (Estonia), Green Liberty (Latvia), Estonian Public Broadcasting Company (Estonia), People in Need (Czech Republic), Slovak NDGO Platform (Slovakia), House of Europe (Lithuania), VIKES (Finland) and BAAG (UK/Ireland). It aims to raise the awareness of the general public about global interdependencies and challenges through media. 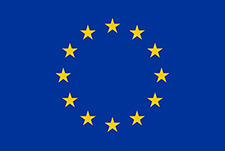 ‘Media for Development’ is funded by the European Commission and co-financed by the Estonian Ministry of Foreign Affairs. The event does not necessarily represent the views of the European Commission.